Games like these captivate you by the simplicity of their idea, challenging gameplay, and awesome soundtrack; the graphics is also good enough, but it’s not the main thing here. It’s completely different from Flappy Bird, you know, as they will be more difficult to finish than just setting a new record. 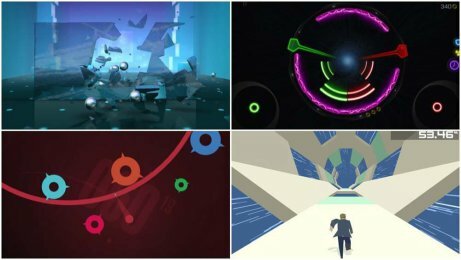 Also, these games will be the perfect fit if you have just a little bit of time for playing when you’re on a subway train, lining up, or simply procrastinating.